The essay contest closed a few days ago, and the two winners were promised prizes and their essays were to be featured on this very blog. Well, the prizes have been mailed, so it's time to post the first essay. Let me be clear: if anyone is insulting towards the author of this essay, your comments will be deleted with little regard for anything you write. These two people worked hard on these essays, and they deserve a little credit for what they did. I present to you, from A Queen Among Kings, CKim's essay. Signing hockey players for long-term contracts is an extremely involved decision-making process that carries with it a high risk factor for all parties. It is a process that originates from the front office, moves to the individual player, and ends with the announcement to the league and fans. It involves the whole of any franchise and sets in motion the plan of the respective General Manager. This announcement is also used as a statement to the rest of the National Hockey League that is loud and clear, which is that a team's franchise is making a long-term financial investment in a specific player who will be a cornerstone from which to build. But since the lockout that wiped out the entire 04-05 season and the implementation of a league-wide salary cap, GMs are now forced to fight for players on their rosters using their wallets. With the 07-08 season more than halfway gone, we have already seen a few deals that have exceeded the 10-year mark. But long-term salaries do not work for all situations, which is the case for the majority of professional hockey players, including Pittsburgh Penguins’ netminder Marc-Andre Fleury. Signing any professional athlete carries with it an inherent risk, and the decision to sign NHL goaltenders could arguably involve a higher risk of investment due to the fact that they are more susceptible to injury than other NHL players. In the summer of 2006, Fleury signed a $2.5 million, 2-year deal and is currently on the injured reserve with a high ankle sprain. In 21 games played this season he has 9 wins, 8 losses, and 1 overtime loss with a 2.90 GAA and a .902 save percentage. Since he is a young, developing goaltender he was not and is not considered the benchmark player for the Penguins; Fleury is living in the shadow of Sidney Crosby’s hype and Evgeni Malkin’s performance this year. At the same time, Fleury is only twenty-three years of age and goaltenders, as a whole, need a longer period of time to adjust and mature. No where this is more evident than in the performance of the Penguins’ current top netminder Ty Conklin who was recalled on December 7, 2007, and now boasts a record of 11-2-2, with a 1.97 GAA, and a .940 save percentage. Conklin has been extremely impressive in his play at 31 years of age. The surge of his play stems from having another opportunity to showcase himself in the NHL. As a result, his $500,000, 1-year contract signed in July 2007 is inadequate for the effort the Penguins have been getting, which almost the entire hockey nation would have not been able to foresee. Yet Conklin has exploded onto the NHL scene after a stint in the minors and has garnered surprise from fans who knew him back when. During the 06-07 season he played for three different teams and accumulated losing streaks on all three rosters. But due to his newly found play this season he has also created a new fan base, which carries with it high regard from within the organization. Since he signed a contract for only one-year, it would be in the Penguins’ best interest to lock him up for a couple of years. I would sign Conklin to no more than three years based on his past performances, which had shown him to be shaky and inconsistent at best. In looking at Conklin’s situation it does not bode poorly for Fleury. The former just reiterates the point that analysts should not always discount the underdog. This being said, I would not sign Fleury for more than 5 years and no more than $3 million per season. This will give the Penguins a chance to see how his injuries inhibit his growth, if at all, while not taking a large financial risk. This will also carry Fleury to restricted free agency where the Penguins could then extend another offer based on the previous five years. This is not to say that all goaltenders should refrain from signing big-deal contracts. New York Islanders’ Rick DiPietro went that exact route, which brought up arguments of whether he truly deserved his 15-year, $67.5 million contract before proving his worth in the NHL. While it is true that once a prospect is chosen first overall in a draft, much is expected, and I believe this truth still holds but at not such an accelerated rate for goalies. There is no better example from this 07-08 season than Chicago Blackhawks’ Patrick Kane. He went into the 2007 NHL Draft as the touted prospect and has made an immediate impact on the Blackhawks on the ice in terms of presence and point production. He currently leads all rookies in points with 12-33=45. Time can only tell of what his true potential will be as he matures both on and off the ice. In returning to DiPietro, it must be stated that he was chosen to be the face of the Islanders, which is evident when you look at their current roster. This season he has a 19-18-6, 2.61 GAA, and a .910 save percentage. Last season (06-07) he collected 32 wins, 19 losses, and 9 OT losses, with 2.58 GAA, and a .919 save percentage. Even though he is projecting to have more losses this season, his GAA and save percentage look steady. I believe that signing DiPietro was an intelligent move for the Islander management team. He is the most marketable of the Islanders on an NHL-wide level, which is important because this is still a business. And as crude as it sounds, good business equals revenue. The difference with Fleury is that he was not asked to fill that position for the Penguins; that’s Sid the Kid’s role. In that regard, confidence should be instilled in Fleury’s play between the pipes because he is not playing under that microscope. I would not doubt his ability to flourish in the upcoming years, which is why he shouldn’t be signed to earn a large salary. DiPietro signed his contract and now carries his team; at the same time, it is important to note that he is also three years older than Fleury. So the best thing to do for Fleury is to bring him around in a timely manner while still expecting the kinds of results the number one overall pick in 2003 should be displaying on a nightly basis. During the 05-06 season, Fleury played 50 games going 13-27-6, with a 3.25 GAA, and a .898 save percentage. But the season prior (04-05) while with the Wilkes-Barre/Scranton Penguins of the AHL, he posted a 26-19-4, 2.52 GAA, and a .901 save percentage. Jump to last season (06-07) with the big club, he improved with 40 wins, 16 losses, and 9 OT contests. His GAA dropped a touch at 2.83 but his save percentage improved to .906. It would not be a stretch to say that if he was not currently injured that his stats would be trending upward on the positive side. At the same time, his injury brought about a newly revived Conklin, so this is not a complete loss for the Penguins as an organization. Another function of long-term contracts is that they set the bar higher for current prospects. The salary not being the goal to strive for, but the level of play that has earned the contract. Washington Capitals’ Alexander Ovechkin is a stellar athlete and has immense character and personality off the ice. He is a complete package and well worth the 13-year, $124 million contract extension to his club. He currently leads the NHL in goals with 39 with 26 assists for 65 total points. I am positive that there are prospects in the minors and juniors who strive to be like Ovechkin and who are working hard everyday to achieve what he has in his short time in the NHL. These kinds of contracts also raise the bar for the player because he must subsequently prove to his club’s management of why he should be earning that dollar amount per year. No one wants to be perceived as a bust by league analysts, and at the same time, the quality of the player both on and off the ice ideally should not be under constant stress or strain regarding his on-ice performance. I do not believe Fleury has displayed enough talent to garner this type of salary, but that does not mean he should be left by the wayside to nurse his injury. Fleury should be signed to a 5-year contract, which will allow him to grow and develop in a stable environment. After hearing about these 13- and 15-year deals, a 5-year deal does not sound like too long of a time commitment in the grand scheme of things. Some could question if five years were enough when looking at Crosby and his 5-year, $43.5 million contract. He is not only the face of the Penguins, but of the NHL as well; so some could justifiably ask if this were enough. Others also could argue that the legend of Sid the Kid started while he was still in the womb as opposed to while in his third year in the NHL. There is no question in my mind that Crobsy will earn every cent that his contract is worth both on the ice as a player and off the ice as a spokesman for the game. Fleury does not have this grandness preceding his presence in a game, but this does not mean he cannot perform as the number one goalie that he was named to be. Even though five-year contracts are substantially shorter than 10- or 15-year deals, they still carry a risk; we can look to Edmonton Oilers’ Dustin Penner as an example, formally of the Anaheim Ducks. He agreed to a 5-year, $21.25 million contract to play for the Oilers starting in the 07-08 season. As a player whose first full NHL season garnered him a Stanley Cup ring, his numbers were acceptable for a rookie and went 3-5=8 in the post season. But Edmonton Oilers GM Kevin Lowe extended an offer sheet that the Anaheim Ducks' GM Brian Burke would not match, which caused a public spat in the NHL media. Not only did this exposure cast a less than favorable light on the dispute, it also placed Penner at the center of the feud. When he relocated from southern California to western Canada and did not immediately make an impact on the struggling Oilers, he was seen as another overpaid player and a disappointment. In looking at Penner's numbers this year, 15-17=32 in 53 games, one can hardly say that he's earned his paycheck, but it is very early in his professional career, so it is difficult from an analytical perspective to gauge with 100% certainty that he is a complete bust. From the perspective of a GM, it is a reality that he has not panned out as a player earning $4.25 million this year. I personally believe he did not earn his $2.125 million for the first 41 games this season, but he will keep developing his play and skill level and will eventually be a force to reckon with once everything comes together for him. Until then he should be feeling a twinge of guilt every time his bank account grows. The topic for this piece was looking at the reasons why Marc-Andre Fleury should or should not receive a long-term contract, but I want to restate the fact that any contract carries its risks, even one-year deals. The most blatant example being Ladislav Nagy, formerly of the Phoenix Coyotes for four and a half seasons and of the Dallas Stars for 25 games. He signed a one-year deal with the Los Angeles Kings as an unrestricted free agent for the 07-08 season. The 02-03 season with the Coyotes is where he tallied the most points, 22-35=57 in 80 games. But there has been a steady decline in his numbers since that season, as well as a fluctuation of which team’s jersey he has worn, and his point production has dropped off severely this season. In 38 games he has netted 9 goals and 17 assists for 26 points. Some of these games have been missed due to injury, but that number is rivaled by how many times he has been a health scratch. Nagy has shown modest glimpses of hope in his play, but for the most part he has been a disappointment to the Kings, NHL analysts, and Kings fans. What is unfortunate for the Kings organization is that Nagy’s poor stats and having a $3.75 million contract are not attractive for other GMs around the league. No team’s management anticipates this for a signing, and the Penguins would certainly not want that for Fleury. While Nagy is evidence that there is risk in any length of a contract, Fleury is still worth a 5-year deal with a maximum of $3 million per year. There is always the option of bonuses that he could potentially gain that are dependent solely on his performance as opposed to his name. I believe that Fleury could become one of these cornerstone names that people think of when they hear about the Pittsburgh Penguins. Granted the first couple of names will Crobsy and Malkin for the next half-decade, but maybe Fleury’s name could slip into the top three in the next year or two. Well-written, and a good argument. Congratulations, and enjoy your prizes! 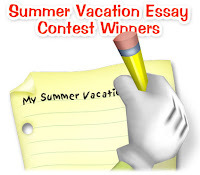 Tomorrow will feature the second essay that won prizes.